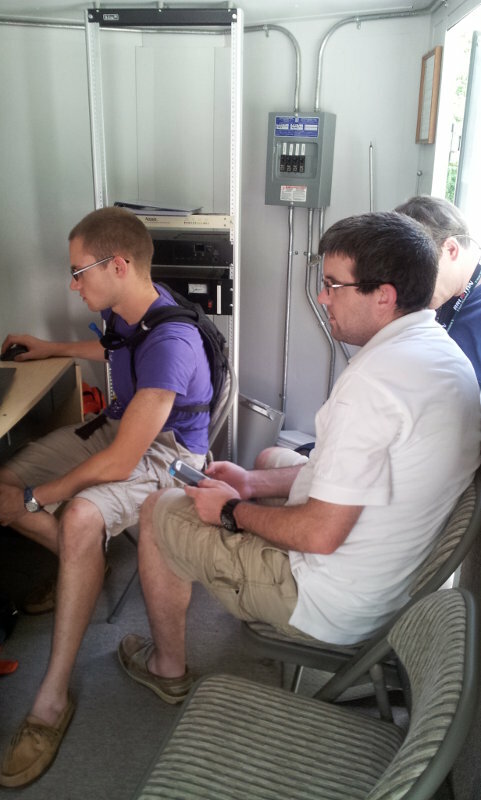 Spent a couple hours yesterday afternoon out at the club communications trailer for the ARRL Rookie Roundup (RTTY). 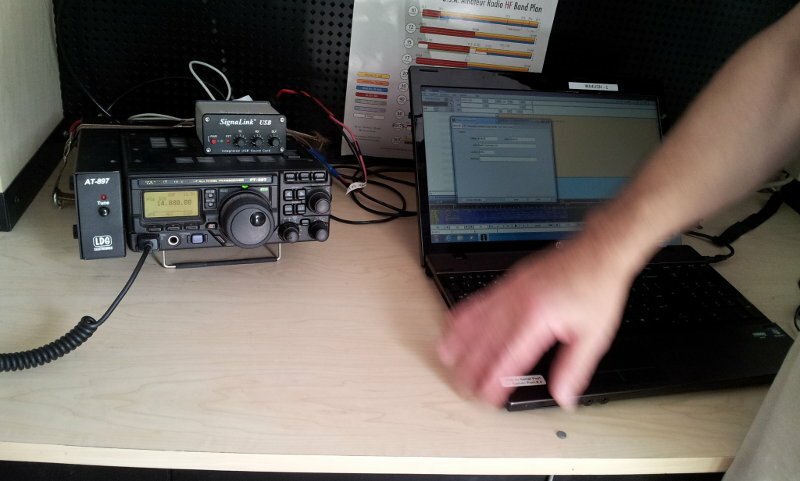 Tom (AJ4UQ) set up one of the club radios, a Yaesu 897D and one of the laptops to run RTTY. There were two other rookies that came out, James (KK4REM) and Andrew (KF7YOX). We operated using my call sign this year and after Tom showed us the basics and helped set up some macros in fldigi, we were off and running. The radios and laptop were initially set up to run off the batteries in the trailer, but after a few minutes, we noticed the voltages displayed by the radio were getting pretty low. A quick look revealed the batteries had gone dry for some reason despite having been topped up a couple of weeks ago. They were also unusually hot even after they were refilled with water. Some of the more knowledgable people suspected a problem with the charger not reducing the power once the batteries were charged. We managed to find a long extension cord and switched over to wall power. This highlighted another purpose for these “contests”: it gives you a chance to exercise your equipment and discover problems, especially important for something intended to be used in emergency/public communications purposes. 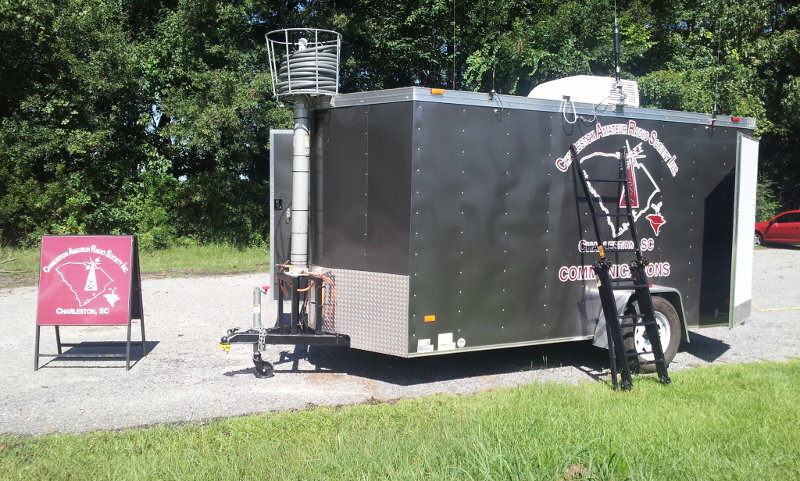 After getting past that, we started hunting around the bands looking for other people playing in the Rookie Roundup. We wandered around several bands, learned how to adjust and tune the antenna (a Little Tarheel) and a bit about how to use the radio. We found a few people and made a handful of contacts, but it seemed like it was easier to hear them than to make contact with them. We decided that maybe the antenna didn’t have a good enough ground plane, and Tom thought that maybe some radials would help. That’ll be something else to try for later. I think in the 3 hours or so that we were operating, we made about 5 or 6 contacts. 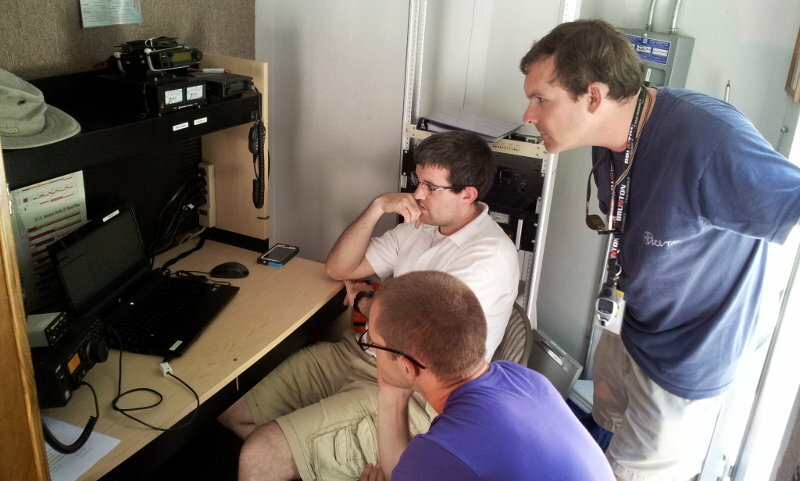 More importantly, I think the three of us learned a little more about radio operating. I learned a little more about the inner workings of the trailer and a little more about the different digital modes. We got to hear several different types of digital modes, including some PSK signals. Overall, even though we didn’t make a lot of contacts, I think it was still a pretty good time. Got outside to play radio, worked with a couple of the newer hams, all great fun. Now I want to see if I can build my own interface so I can do digital modes at home.